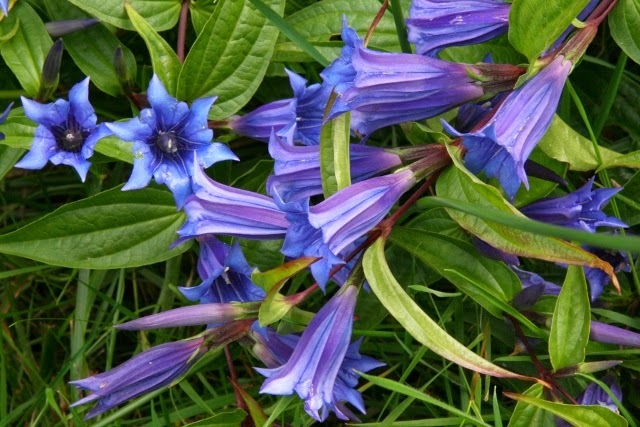 is established here at High Beeches and in August the gentians flower throughout the garden. High Beeches is the only known site in the UK where these gentians are naturalised. 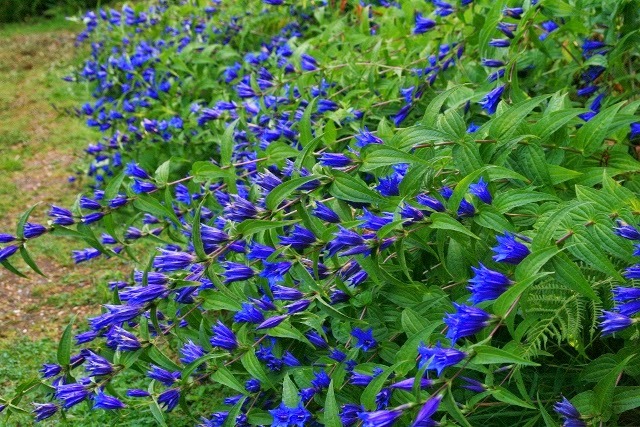 The Woodland or Willow Gentian is a perennial and is a native of central and southern europe and is usually to be found in woodland mountain areas. 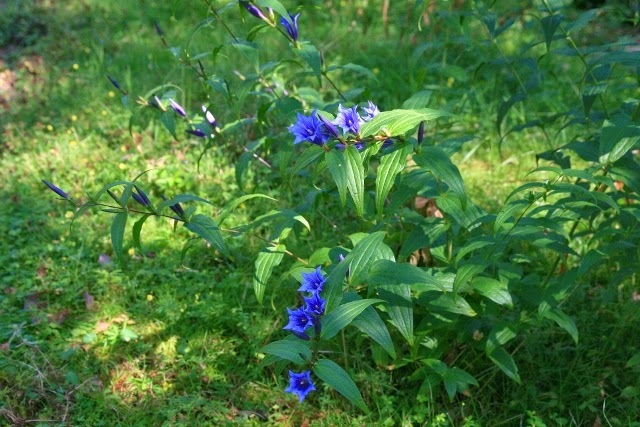 It is a beautiful plant with elegant arching stems and bright blue trumpet like flowers.